Dr. Orlando Rivero has consulted and provided executive training in the areas of Healthcare corporate management, strategy, international business and education with national and international assignments. Dr. Rivero is the former Academic Director/Associate Professor and Chief Academic Officer for Business Programs at Albizu University Miami, Florida. During his tenure, he established the Online MBA program in Accounting, Finance & Healthcare Administration specializations. Most notably, Dr. Rivero coordinated corporate Partnership Agreements with several mid/large organizations to include, but not limited to Carnival Cruise Line, Miami Dade College, and Miami Dade County Government. 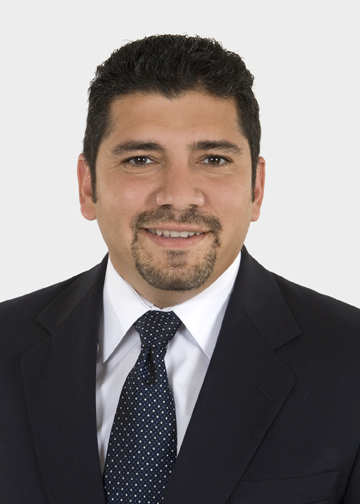 Dr. Rivero has authored several journal articles and has presented conference papers at International Conferences. In 2013, Dr. Rivero was granted the “BEST PAPER” in session award for his work entitled, US Unemployment Among Younger Adults And Recommendations To Improve Employment Sustainability, Las Vegas, Nevada. In 2015, he was elected chairperson in session by International Business and Education Conference London, United Kingdom. That same year, he was conferred the award of Academician of Social Sciences by the International Academy of Social Sciences and by the Journal of Alternative Perspectives in the Social Sciences. Before embarking into academia, Dr. Rivero also served in various leadership roles for 20 years with the local government. During his tenure with Miami-Dade County, he was also the recipient of the 2004 National Association of Counties (NACO) Achievement Award for the implementation of several community-driven programs in Miami-Dade County, Florida. Dr. Rivero is a graduate of Argosy University (AU) where he completed his Doctoral degree in Business and completed his Master of Public Administration degree at Nova Southeastern University (NSU) He also hold a master’s in Healthcare Administration from the University of West Florida (UWF). Rivero, O. (2016). Starbucks Corporation: Leading Innovation in the 21 st Century.. Journal of Alternative Perspectives in the Social Sciences, 7(1), 23-38..
Rivero, O. (2017). Inadequate Public Health Education in Support Of Diabetic Patients Residing in the State of Florida . Rivero, O. (2017). Corporate Sustainability Factors that Promote a Positive Work Environment. Corporate Sustainability Factors that Promote a Positive Work Environment at the Clute Institute International Conference, London, England. United Kingdom. .